HOST Fiera Milano plays host again to the industry’s manufacturers and suppliers of foodservice professional equipment and supplies. The bi-annual event this year is even bigger (you can see the official numbers on page 20). 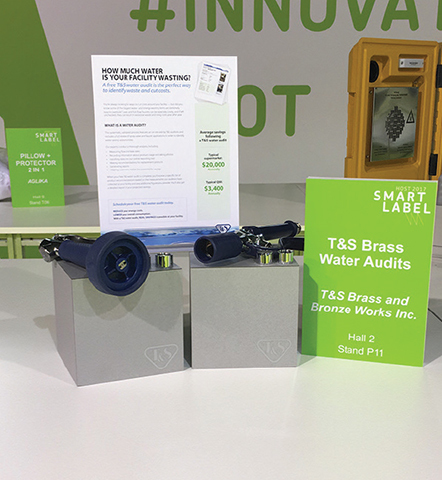 We had a chance to again tour the show and see the latest and the best in the industry. 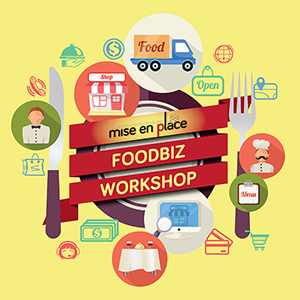 Just like how the world today is very much about connectivity and lifestyle, it is very much the same in the hospitality industry. The big theme we see across many products is how the user can be connected faster and be more efficient. Though we might not see them immediately on our shores, the coming wave is just around the corner. We took the lead presented to us by HOST to track down a few of the SMART LABEL winners and focused on a few products that have taken the “internet of things” into their products and their benefits into your business operations. (category: Interaction, connectivity / internet of things). Rieber GmbH & Co., introduces an innovative solution when it comes to optimised organisation, traceability and transparency (HACCP) across the entire food flow. All HACCP – relevant data, such as temperature measurement, hygiene, transportation and organisation, can be captured and managed digitally with °CHECK. °CHECK can be used to determine the destination, content and temperature. 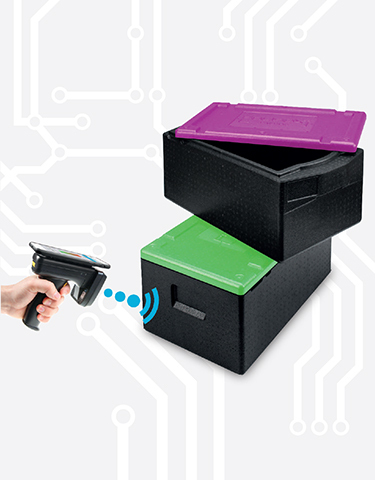 Additional information, such as the container type, food in the container, customer and allergen identification etc., can be stored behind the QR code. By making sure that the relevant data is documented, managed and accessible digitally in real time anytime and anywhere, processes are manageable and can be optimised or adjusted in good time. 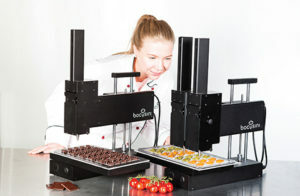 The user benefits in terms of time-savings and safety while handling the food. 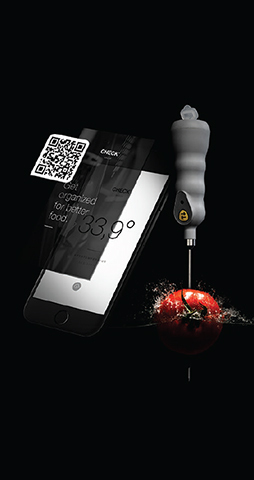 This intelligent food flow system can be applied in 2 ways; with Mobile-°CHECK, the user easily captures the data himself using just a smartphone, a QR code and a core temperature sensor, whereas for Auto-°CHECK, preinstalled sensors in the designated areas sends data at the pre-defined interval. Connectivity in the kitchen also encourages creativity in presentation. With the technology of 3D food printing, chefs can now get creative with personalised greetings – be it for pastry or pasta. 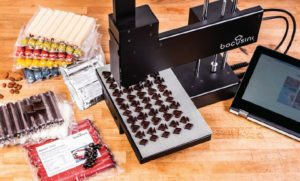 Bocusini’s latest model now offers a bigger= working space of 25 x 15 cm that makes it easy to create large logos or better volume output in one setting. Bocusini takes it a step further with the cloud-based concept of the Bocusini Club where it is possible to create and manage templates for several devices. This gives users the flexibility to work remotely to input the data and would not need to be next to the device. To keep it relevant, all updates for the software are automatically available in the Bocusini® Club for users. 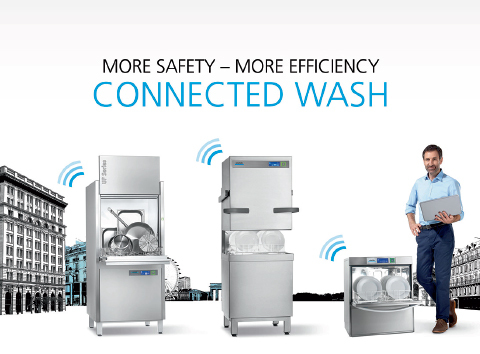 With CONNECTED WASH, the new generation of under counter, pass-through, and utensil washers is integrated into the network and enables the analysis and evaluation of all important operating data. With this system, warewashers are networked via LAN or W-LAN and send machine and operating data to a server virtually in real time. 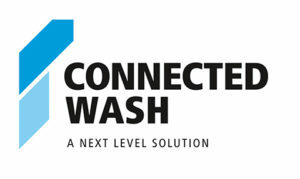 Using a computer, tablet or smartphone, customers have access to the CONNECTED WASH app. Machine functions are thus monitored, analysed and, if necessary, converted into recommended actions for the customers from anywhere around the world. The data is sorted clearly and by importance: The app gives users a quick overview of the status and all-important data on their machines. NeMoSy Tech by MINERVA OMEGA GROUP S.r.L. Minerva Omega Group supplies its machines already set up for fitting the optional radio transmitter which, once installed, uses a gateway to send all the machine data and the data read by the on-board sensors to the cloud platform from where it can be accessed and shared with other management systems (ERP, CRM, Business Intelligence software). The system is capable of recording information such as open safety devices signals, alarms, working temperatures, absorbed current, operator ID, hours in use, hours worked, faults and machine downtimes, quantities and weights of processed products, management of maintenance cycles, technical reports, management of manuals and even more diagnostics. Minerva Omega Group machines that are already installed, and likewise for any other existing equipment (competitors, ovens, rotisseries, refrigerated counters and cabinets, packaging machines, etc.) a retrofit can easily be installed which is non-invasive and requires no specialised technical staff to fit it. 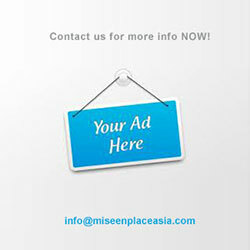 The platform requires no specialist knowledge, no intervention on the IT system or knowledge of programming languages. The interface is intuitive and everything is parametric: from setting up users to the alert levels for each individual machine. SDS S.r.L. introduces a new range – The SMART Polibox. These compact and resistant isothermal containers with a multitude of dimensions and colours are flexible and available with accessories to make mobility easy. Now with the adaption of smartphones into our everyday lives and Cloud systems, you can easily track your meals and food as they move throughout the distribution chain as these boxes provide traceability as part of its features as well. 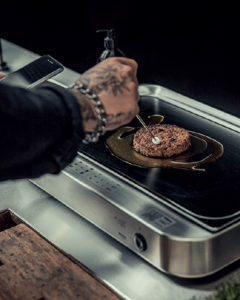 The SelfCookingCenter® XS is the smallest unit in the SelfCookingCenter® family, and it is in no way inferior to the larger units in terms of features and performance: it offers full RATIONAL power and intelligence despite its minimal dimensions of only 55.5 cm deep, 65.5 cm wide and 56.7 cm high. 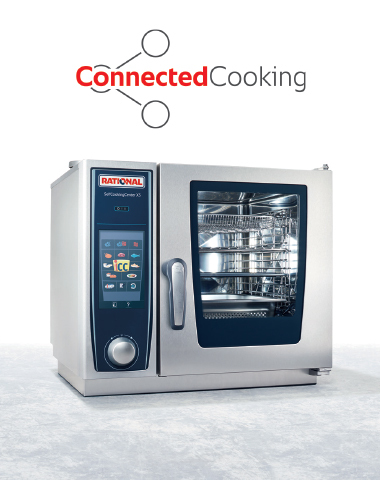 With ConnectedCooking, RATIONAL has set a new standard in networking for the professional kitchens: including remote access, push notifications, automatic HACCP documentation and remote diagnosis by Service Partners. 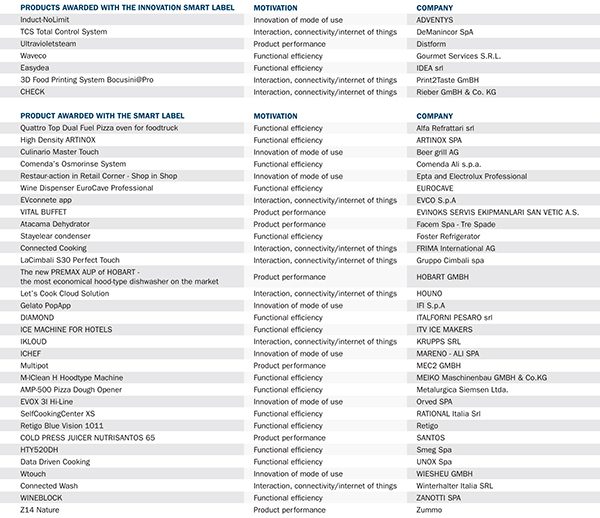 No other networking solutions in the current market offers this many features.